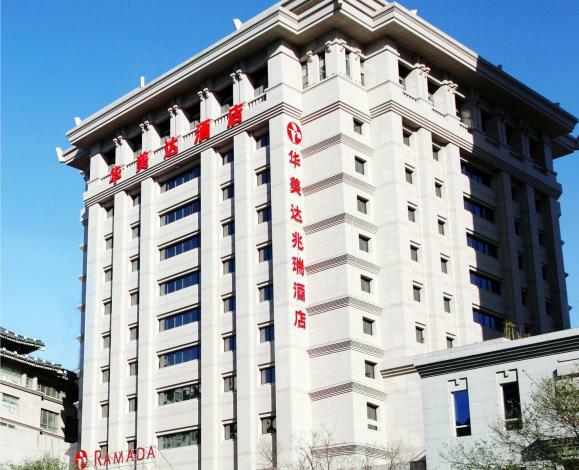 The Ramada Hotel Bell Tower (Xi'an Huameida Zhaorui Jiudian) is located in the downtown area, close to the popular sight Bell Tower and a local Muslim food street. Rooms at this Xi'an hotel are comfortable and come with all the standard amenities. Chinese and Western cuisine is available, as well as, barbeque. Those traveling the city on business will find conference rooms of various sizes on the premises. Those looking for a bit of relaxation can utilize the chess/poker rooms, spa, fitness rooms, sing karaoke or hit up the lobby bar. - 850 m to Zhonggulou Square.